Help the Grim Reaper get rid of waves of zombies with his scythe! Make death follow everywhere you go - stay alert and put your supernatural skills to test. 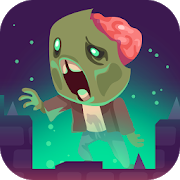 Run and annihilate creatures in this dark adventure!